Planning to “POP” the Question….Need A Little Magic? This is one of my favorite times of the year. Not only is it going to be Spring soon, but many guys choose this time to “POP” the question and ask the one they love to marry them. For some, this brings shear fear to ask those four little words’ “Will You Marry Me”. For others, the words are easy, it’s pulling off the logistics of how to make just that right moment perfect. Being a wedding planner, I am truly a romantic at heart. 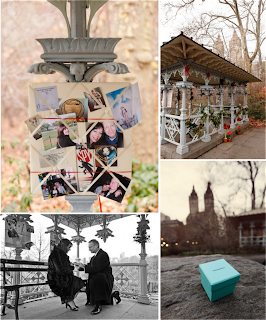 There’s nothing more magical to me than hearing all the wonderful ways couples get engaged. It makes me my heart flutter watching the Bride and Groom reminisce as they’re telling me their story. The pure joy in their eyes and glow that exists between them is truly magic. As you can imagine with being a planner, I have heard of numerous ways an engagement has been staged. 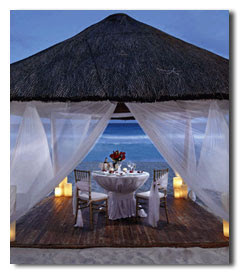 Being a romantic-at-heart AND female, I can think of a zillion scenarios that would be amazing to get engaged. This is truly one of the most memorable days in a girl’s life. Some have dreamt about it since they were little girls. This may sound like a lot of pressure for a guy, but, as long as your heart is involved, everything will be perfect. When considering all the numerous ways to propose, keep in mind her personality a nd what would surprise her most. Maybe a romantic dinner at home with candlelight and flowers or a picnic at the beach with wine and cheese to watch the sunset is just as memorable with timed fireworks just as it gets dark. Would she love to be picked up by a limo just as she’s leaving for work to whisk her off to a surprise day at the spa being totally pamper, with a new evening gown waiting for her to spend the evening dancing the night away in your arms at a 5 star hotel. For most women, we simply love when you’re a little creative and surprise them. If you happen to be someone who needs a little help in the creative department or assistance executing your idea, look to someone like me. Who better to help than a planner?! I can provide you a full list of quality vendors; florists, restaurants, jewelers, transportations companies, bakers and everything imaginable. One of my specialties is logistic management. I can make the tightest schedule feel flawlessly comfortable and the impossible possible. Quite honestly, there is nearly nothing more rewarding than to see wonderful couples get engaged. It’s what starts the wedding planning process. I recently had the pleasure of planning the engagement for a wonderful couple. The day of the engagement I was giddy knowing that a sweet girl was getting ready to have one of the most amazing days of her life. We staged it so that the bride thought she was going ice skating at Discovery Green with friends. We picked the most romantic spot there under some trees on a park bench for the Groom to ask her. We arranged for a waiter to hand deliver hot cocoa. However, to the Bride’s surprise, one of the cups would have the ring inside. Minus the cocoa of course! The Groom opened the cup as he was down on one knee. The bride burst into tears of joy and giddy squeals. With a photographer strategically placed shooting pictures, they will have memories of the day to reflect and share with grandchild. After wards, the couple was whisked away to a private romantic dinner at Spence’s downtown. I am not sure who was more excite; me or the Bride. It was truly magic right before my eyes. 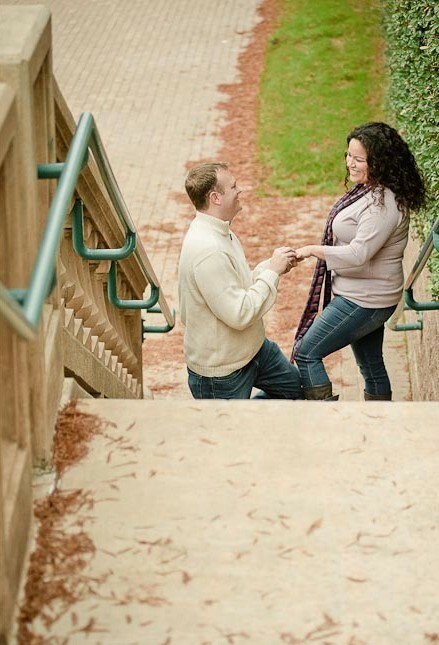 So, if you’re considering an engagement, don’t hesitate to ask for a little help. With our professional planning experience and creativity, we will create the most amazing experience for you to share with your future Bride.